Arthrodesis of the first metatarsal cuneiform joint (MCJ) was first described in 1911 by Albrecht . Truslow  and Kleinberg  revisited the procedure shortly thereafter. But it was not until 1934 when Lapidus published his first article on the etiology and surgical technique that the procedure became popular. He followed this with two more articles further discussing the rationale for the procedure [4 – 6]. Lapidus believed that certain types of hallux abducto valgus are a result of an atavistic trait. The metatarsal is excessively adducted (what he described as metatarsus primus varus) because of an arrest of ontogenic development. More importantly, Lapidus understood that the deformity should be corrected at its apex. He realized that the metatarsal cuneiform joint was abnormally angulated and that correction should therefore be directed to that joint. He also stated, ‘‘Osteotomies of the first metatarsal, particularly over the distal part, never have seemed mechani- cally sound’’ . The procedure Lapidus described included fusion of the first metatarsal cuneiform joint and fusion of the base of the first metatarsal to the base of the second metatarsal. The fusions were held in place with drill holes and catgut suture. Lapidus never published objective reports but did say that after 25 years he found the procedure useful in ‘‘properly selected cases.’’ Over the next 70 years, modifications of the Lapidus procedure have gone in and out of favor. Many surgeons find it technically demanding, there are problems with shortening, and some report high nonunion rates. But for the surgeon who feels comfortable with the procedure, it can be a ‘‘versatile means of addressing positional and structural problems with the medial column’’ . Some of the indications for fusion of the first MCJ include severe metatarsus primus adductus (MPA), patients with moderate MPA with hypermobility of the first ray, generalized ligamentous laxity, adolescent hallux abducto valgus defor- mity (HAV), degenerative changes of the first MC joint from arthridities, hallux limitus with elevatus of the first ray in cases of mild to moderate degenerative changes of the first metatarsophalangeal joint (MPJ), and salvage of failed HAV surgery. Unfortunately, one of the main indications for the procedure is difficult to define and more difficult to quantify, yet few argue its existence. Root  stated, ‘‘In an individual with a normal first ray, the full range of motion will move the first metatarsal head above and below the transverse plane of the dorsiflexed lesser metatarsal heads by the same distance in each direction.’’ In other words, the motion of the first ray should be equally divided into dorsiflexion and plantar- flexion. With current understanding of the first ray and its range of motion, hypermobility is then defined as excessive motion about this joint during gait. But, the amount of motion has not been defined, and holding the foot in a neutral position and measuring the excursion are subjective findings leading to inconsis- tency. Radiographs have also been discussed as a tool for diagnosis of hypermo- bility of the first ray. Attention is paid to the first MCJ angle and cortical thickening of the second metatarsal as a sign of lesser metatarsal overloading secondary to a hypermobile first ray. Because of the difficulty quantifying hypermobility, the diagnosis continues to be clinical. Examination of the patient begins with a gait analysis. Abduction of the rearfoot with elevation of the first ray may be noted. An early heel off may be a sign of tightness of the posterior muscle group. Seated examination confirms laxity of the first ray, tracking of the great toe and any crepitus. Adjunct gastrocnemius or Achilles equinus and rearfoot deformity is also checked. Proper vascular and neurologic testing is performed. The quality of the skin should also be checked to avoid scarring and to alert the patient to any potential complications before surgery. Proper informed consent of the patient is essential to avoid discrepancy. It is important to inform the patient of the rate of nonunion/delayed union and other associated complications, including numbness, scar formation, and joint stiffness. To perform the procedure with a minimum of strain to the surgeon, patient positioning is essential. The patient is placed on the table in a supine position with attention to foot position. The foot is placed at the most distal aspect of the bed and bumping of the ipsilateral hip is performed to place the foot in a rectus position. The procedure may be performed under local or general anesthesia. Our preference is to perform the procedure under monitored anesthesia care in combination with a popliteal fossa block. The popliteal fossa block allows for a high ankle tour- niquet placement and also allows for anesthesia of the Achilles tendon and gastrocnemious muscular junction for adjunctive tendon lengthening procedures. Tourniquet use is the surgeon’s choice; however, it is essential to place an ankle tourniquet proximal enough to allow for proper positioning of the hand during placement of the distal to proximal screw across the joint. If the ankle tourniquet is distal, it is difficult to position the drill properly for the medial cuneiform to first metatarsal screw. The procedure is started with a dorsal incision placed over the first MC joint. To properly identify the joint, fluoroscopy may be used. An easy technique to identify the joint is to wet the region and run one’s finger over the first metatarsal toward the base. A ledge will be palpated, which is the joint line. A second important point to consider is placement of the incision of the dorsum of the joint. It is more difficult to perform the procedure if the incision is too far medial. The incision is deepened to the level of deep fascia. A communicating branch between the medial and intermediate dorsal cutaneous nerves is usually found traversing the joint. This nerve, if in the incision site, should be sacrificed because it will be difficult to perform the procedure otherwise. The extensor hallucis longus and brevis tendons are identified and retracted medially. The extensor hallucis brevis tendon may be released at the location as desired. A dorsal periosteal incision is performed to access the joint. It is ideal to perform the incision on the dorsum of the joint and not make a medial approach. Periosteal flaps are raised. The dorsal periosteum is well adhered and need to be released with sharp dissection. Once the medial and lateral aspects of the joint are reached, a periosteal elevator may be used. Preservation of the periosteum is essential to increase the rate of arthrodesis and protect neuro- vascular structures. Dissection of the periosteum as far plantar as possible should be performed to allow greater access to the joint. It is the surgeon’s choice as to joint resection technique, though a saw is commonly used. If this is the desired technique, a long blade must be used as the joint resection depth is approximately 2 cm. A wedge is resected off the base of the first metatarsal and a joint resection of the medial cuneiform is performed. It has been the authors’ experience that this is not necessary for joint alignment, and it often decreases joint stability. The authors’ current technique for joint preparation is a combination of curettage and sharp resection of the articular surfaces. The preparation is begun with the use of sharp osteotomes. The osteotome is held firmly by hand and run from dorsal the plantar along the articular surfaces. The procedure is repeated until as much articular cartilage is resected as possible. From time to time, a rongeur is used to remove the loose cartilage in the joint. A curette is then used to remove any remaining cartilage, especially at the base of the joint. It is essential to remove the most plantar cartilage to avoid a plantar ledge. If a plantar ledge is left behind, dorsiflexion of the metatarsal may occur. Following removal of all articular cartilage, the subcortical bone is prepared with subchondral drilling or shingling of the joint surface. It has been the authors’ experience that use of a small osteotome and mallet for joint shingling causes no burning associated with drilling had allows for subchondral bleeding. The subchondral bone is approached at an angle, and the joint surface, if raised slightly. The raised piece is turned 45 degrees and left in the joint. Attention is then directed to the first MPJ. The joint may be approached with a continuation of the dorsal first MC incision or through a medial incision. It has been the authors’ experience that the medial approach allows for better cosmesis. The medial incision is centered over the medial first MPJ and deepened to the joint capsule. The dorsal skin may be raised to allow for lateral release, or a second dorsal incision may be made over the first interspace for lateral release. A dorsal medial capsular incision is then performed and the medial collateral ligament is released. The lateral collateral ligament may be released from a plantar or dorsal joint approach. The medial eminence is removed and the first metatarsal is positioned. An excellent positioning tip is to push medially at the first metatarsal head and dorsiflex the great toe simultaneously. This will reposition and compress the first metatarsal. The first metatarsal is then displaced plantarly in cases of elevatus. If proper alignment is not achieved, the lateral first metatarsal base may need to be resected. This is rarely necessary, and repositioning is often difficult if the fibular sesamoid is not positioned plantar to the metatarsal head adequately. Once anatomic alignment is achieved in the sagittal and transverse planes, temporary fixation is achieved with the use of a Kirschner wire. If a cannulated screw set is used, the wire may be from the set. The first wire is run from the base of the first metatarsal to the base of the medial cuneiform. To achieve proper wire position, the wire is aimed at the navicular tubersity. This will place the wire directly in the central portion of the medial cuneiform. A second wire is the placed from the medial cuneiform to the lateral base of the first metatarsal. Fluoroscopy is used to check position in the dorsal plantar plane and a lateral plane. Screw placement is then performed with the surgeon’s choice of screw. If there is a problem with screw placement or the dorsal ledge fractures and instability of the screw placement is found to be present, a screw may be run from the medial first metatarsal base to the intermediate cuneiform or into the second metatarsal base. A screw into the second metatarsal base will need to be removed after healing is achieved. The authors’ choice in cases of difficult fixation of soft bone or cortical fracture is the placement of a dorsal miniplate. The plate may be a compression system if compression of the joint is poor, or a stability plate if adequate compression is achieved with a lag screw across the joint. Before closure, alignment of the metatarsal base and great toe joint and screw placement are checked with fluoroscopy while the foot is loaded. Periosteal and skin closure is performed for both joints. Dressings are applied and a splint or bivalved cast is applied to the region. The patient is kept non–weight bearing for a period to 4 to 6 weeks or until adequate joint healing is noted with radiographic examination. The patient is then gradually allowed to bear weight on the surgical site with the use of a surgical shoe or below-the-knee walking boot until full healing is noted. Physical therapy of the great toe joint can begin at 3 to 4 weeks postsurgery to prevent stiffness and scarring. It is more difficult to return the plantarflexion motion of the great toe; therefore, plantarflexion exercises are emphasized. Weight-bearing physical ther- apy is not started until full healing is noted. Often the underlying hallux limitus/hallux valgus deformity is caused by excessive pronation or tightness of the posterior leg musculature. Two common adjunctive procedures are calcaneal osteotomies (Evans or medial calcaneal slide) and posterior musculature lengthening (Achilles or gastrocnemius tendon length- ening). It is essential to perform these adjunct procedure, when necessary, to achieve adequate outcomes. In the literature, few articles have been written with objective results, probably due to the technical difficulty and complications. Sangeorzan in 1989  reported on 40 foot procedures for first MCJ fusion. Hypermobility was defined as ‘‘relatively increased dorsiflexion of the first ray with soft end point on examina- tion, combined with second metatarsal overload.’’ They also related patients having a medially oriented cuneiform and second metatarsal cortical thickening, indicating overload. The fusion was fixated with two screws, one crossing the fusion and another crossing from the first metatarsal into the second metatarsal base or second cuneiform. The second screw was not for fusion between the metatarsals but to ‘‘ensure rotational stability’’ and later removed. The intermetatarsal angle changed from 14 degrees preoperatively to 6 degrees postoperatively, and there were four reported nonunions. Good or excellent results were reported at 74%. Mauldin in 1990  described a modification of the Lapidus in which there was a limited fusion technique, emphasizing the first metatarsocunieform joint, to maintain length. Fifty-one patients were reviewed with average preoperative intermetatarsal angles of 14.6 degrees, reducing to 8.7 postoperatively. Nonunion rates were difficult to determine and not well reported. Hallux varus was reported in 15.7% of the patients. An estimation of ‘‘excessive motion of the first metatarsal in both sagittal and transverse planes’’ was the definition of hypermobility used by Myerson in 1992. Cortical thickening of the second metatarsal shaft was also a typical radiographic finding. Sixty-seven MCJ fusions were reviewed, with seven non- unions. The intermetatarsal angle decreased from 14.3 preoperatively to 5.8 post- operatively. Myerson placed fixation from the first metatarsal into the second metatarsal but states that ‘‘since this further increases stiffness, incorporating the base of the second metatarsal in the arthrodesis is probably unnecessary’’ . Chang and Ruch in 1994  published an article discussing the procedure and outlining their technique for fixation. The article was not a study, but discussed the author’s technique involving a five-hole one-third tubular plate and a compression screw. The plate is prebent to match the contour of the medial aspect of the first metatarsal cuneiform joint. After joint preparation, the fusion site is held in place with a Kirschner wire. The plate is then held in place with two screws in the cuneiform. A screw is then placed into the metatarsal using eccentric drilling through the plate to aid in compression. Next, axial compression is achieved by a placing a cancellous screw across the fusion site. Finally, the remaining holes in the plate are filled with standard concentric drilling. Grace et al in 1999  published a retrospective review of the modified Lapidus in adolescent HAV. The authors worked with reports of high recurrence rates of adolescent hallux valgus and, in these, report that the initial surgery done probably did not address the instability of the first ray. The theory was that fusion of the first MCJ would give stability to the first ray and reduce recurrence. Radio- graphs revealed second metatarsal hypertrophy in 60% of the 30 cases they reviewed. First intermetatarsal angles decreased from 13.3 preoperatively to 5.4 postoperatively, and 90% of the patients had good to excellent results in the short term. They reported two recurrences and only one symptomatic nonunion. Later in 1999, Catanzariti et al  reported their review of 47 modified Lapidus procedures. The patients all had HAVand some degree of hypermobility. Again, no consistent measure of hypermobility was discussed. In the same patient population, different combinations of planar resection, bone grafting for short metatarsals, and varying types of fixation were used. Allogenic graft was used if preoperative metatarsal protrusion distance warranted. Three nonunions were reported with average intermetatarsal angles preoperatively (13.8) decreasing to 2.1. Average shortening without grafting was 4.7 mm. Kenrin et al in 2000  authored an article discussing the modified Lapidus procedure and its use in rheumatoid patients. Twenty-one patients were retrospec- tively evaluated. Hallux valgus is commonly seen in this patient population; however, first metatarsal phalangeal joint fusions and arthroplasties are more commonly performed. The authors noticed that early and intermediate rheumatoid patients had hallux valgus but maintained a reasonable first metatarsal phalangeal joint space. This observation led the authors to preserve the first metatarsal phalangeal joint and correct the deformity more proximally. This would also help the failing arch. The fusion was achieved with one or two staples. The patients were then evaluated and first intermetatarsal angle decreased from 13 degrees preopera- tively to 8.3 degrees postoperatively. There were no reports of nonunions. McInnes and Bouche in 2001  published on the topic, giving a comprehen- sive history of the literature and a retrospective study of 25 patients. Fusions were preformed with two 3.5-mm cortical screws, and the average follow-up time was 39 months. The authors also divided the patients into athletic, active, and sedentary. Hypermobility was diagnosed preoperatively by the senior author and used a combination of subjective, objective, and radiographic criteria. It was defined as ‘‘excessive motion in the sagittal and transverse planes in conjunction with signs and symptoms of lesser metatarsal overload.’’ Subjective and objective scoring systems were then used. Five patients stated that the surgery was ‘‘ineffective,’’ and 78% regarded the surgery as ‘‘completely’’ or ‘‘very’’ effective. Average preoperative IM measured 16.7 degrees and decreased to 8.2 degrees postoperatively. First metatarsal shortening was 4.5 mm in the patients with a curettage method and 7.5 mm in the patients that had undergone planar resection. There was no significant difference in the subjective and objective scores among the three activity levels; however, the population size was small with only eight patients in the sedentary group. Return to activity in athletes was only 30%, compared with the 86% and 75% of active and sedentary, respectively. Five nonunions, three of which were asymptomatic, were reported (Figs. 1–6). Coetzee et al in 2003  reported prospectively on 26 modified Lapidus procedures performed as salvage after failed treatment of hallux valgus. The study included the visual analog scale and the American Orthopedic Foot and Ankle Society (AOFAS) Hallux Metatarsophalangeal-Interphalangeal Scale preopera- tively and at 24 months. The visual pain scale improved from 6.2 to 1.4, and the AOFAS scale improved from 47.6 to 87.9 with no ‘‘dissatisfied’’ patients. The procedure involves screw fixation across the first tarsometatarsal joint and from the base of the first metatarsal to the base of the second. Coetzee stated, ‘‘The tarsometatarsal and first and second metatarsal fusions eliminate any rotation or translation of the first ray,’’ thereby making it ‘‘almost impossible for the hallux valgus or metatarsus primus varus deformity to recur’’ . The procedure addresses the hypermobility that could have contributed to the initial deformity and its recurrence. The authors have reviewed results on 47 cases with a follow-up of 1 to 3 years. Preoperative diagnosis was hypermobility and hallux valgus deformity in 37 cases, hallux limitus in nine cases, and degenerative arthritis of the first MC joint in one case. The results revealed only one asymptomatic nonunion in a noncompliant patient who began weight bearing at 2 weeks. Joint resection and realignment of the joint resulted in similar alignment and outcome as wedge realignment of the joint. Intermetatarsal angle was reduced from an average of 14.8 degrees to 6.2 degrees. Time to full healing has been dramatically decreased with atraumatic technique and prevention of joint heating. Time to full fusion has been decreased by 2 weeks with joint curettage and shingling as compared with subchondral drilling or saw resection of the joint surfaces. Two cases of plate use in addition to compression screw use have resulted in adequate fusion. The plates have not needed to be removed to this date. Patient satisfaction has been excellent in 41 cases, good in four cases, and adequate in two cases. The two adequate cases complained of sesamoid pain during exercise secondary to ray plantarflexion. The mild pain was well controlled with orthotic use during exercise. All patients stated that they would undergo the procedure again. Arthrodesis of the first MC joint has grown in popularity as more experience and knowledge as to the function and stability of the medial column has developed. The procedure was originally thought to be difficult, and the rate of nonunion was high. With the advent of internal fixation and increased experience in resection techniques, the rate of nonunion has dramatically decreased. Fusion of the first MC joint allows for correction of the first metatarsal in three planes, including adduction, plantarflexion, and rotation. It also allows for decreased jamming of the great toe joint and increased medial column stability. Although hypermobility is a difficult diagnosis to make in certain cases, it is best to perform a first MC fusion bunionectomy if there is any doubt as to the stability of the first ray. As knowledge about other medial column procedures grows, fusion of the first MC joint will continue to grow in popularity. It is an excellent procedure for hallux limitus and also for metatarsus primus elevatus cases. Although there is no comparison study to date, the authors’ opinion is that limited heating of the joint and curettage techniques will produce higher fusion rates. This study is now being undertaken, with results to follow. Albrecht GH. The pathology and treatment of hallux valgus. Russk Vrach 1911;10:14 – 9. Truslow W. Metatarsus primus varus or hallux valgus? J Bone Joint Surg 1925;7:98 – 108. Kleinberg S. The operative cure of hallux valgus and bunions. Am J Surg 1932;15:75 – 81. Lapidus PW. The operative correction of the metatarsus primus varus in hallux valgus. Surg Gynecol Obstet 1934;58:183 – 91. Lapidus PW. A quarter century of experience with operative correction of the metatarsus varus in hallux valgus. Bull Hosp Joint Dis Orthop Inst 1956;17:404–10. Lapidus PW. The author’s bunion operation from 1931 to 1959. Clin Orthop 1960;16:119 – 35. Chang TJ, Ruch JA. Lapidus arthrodesis: a different perspective. J Am Podiatr Med Assoc 1994; 84:281 – 8. Root ML, Orien WP, Weed JH. Normal and abnormal function of the foot. Los Angeles (CA): Clinical Biomechanics Corp.; 1977. Sangeorzan BJ, Hansen ST. Modified Lapidus procedure for hallux valgus. Foot Ankle 1989;9: 62–6. Mauldin DM, Sanders M, Whitmer WW. Correction of hallux valgus with metatarsocuneiform stabilization. Foot Ankle 1990;11:59 – 66. Myerson M, Allon S, McGarvey W. Metatarsocuneiform arthrodesis for management of hallux valgus and metatarsus primus varus. Foot Ankle 1992;13:107 – 15. Grace D, Delmonte R, Catanzariti AR, Hofbauer M. Modified Lapidus arthrodesis for adolescent hallux abducto valgus. J Foot Ankle Surg 1999;38:8 – 13. Catanzariti AR, Mendicino RW, Lee MS, Gallina MR. The modified Lapidus arthrodesis: a retrospective analysis. J Foot Ankle Surg 1999;38:322 – 32. Kenrin S, Hayashida K, Tomita T, et al. Surgical treatment of hallux valgus deformity in rheumaoid arthritis: clinical and radiographic evaluation of modified Lapidus technique. 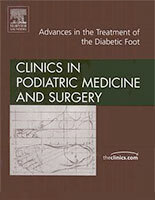 J Foot Ankle Surg 2000;39:376–82. McInnes BD, Bouche RT. Critical evaluation of the modified Lapidus procedure. J Foot Ankle Surg 2001;40:71–90. CoetzeeJC,ResigSG,KuskowskiM,etal.TheLapidusprocedureassalvageafterfailedsurgical treatment of hallux valgus: a prospective cohort study. J Bone Joint Surg 2003;85A:60 – 5.